As this entry was being started, I was watching CNN’s ever-pompous Wolf Blitzer quiz two senators (Republican Specter and Democrat Menendez) on the significance of recent events in Mumbai. What distressed me was that none of the three seemed to grasp either the urgency or possible consequences of events that began unfolding less than a week ago. After a few minutes the senators were replaced by a set of new participants, all experts on terrorism. Although more careful in their phrasing they still danced around the key issue: that the danger of a hostile nuclear exchange is now (at least) as great as during the 1962 Cuban missile crisis. What has really happened during the past five days is that a successful terrorist operation, almost certainly encouraged and assisted by al Qaeeda, has brought the world close to nuclear war in a setting in which those with the greatest control over what happens next may feel the least responsibility for the consequences. Indeed, given the fundamentalist beliefs in an omniscient creator by several such leaders, and that suicide is a legitimate part of the creator’s overall plan for the universe, the danger may have never been greater. What no one seems to have thought out is how an overpopulated world poised on the brink of economic collapse would repair itself in the wake of such an additional (emotionally motivated) disaster. The days ahead will be critical indeed. As I’m preparing to upload this, I’m still watching CNN; Fareed Zakaria has replaced Blitzer and is having an intelligent discussion with the (Hindu) chairman of the group that owns The Taj Hotel. Perhaps here’s some hope after all; in any event, this seems (yet another) make or break moment in the history our species. Now that the shooting in Mumbai seems to have stopped and a shocked world begins to ponder both its significance and relationship to 9/11, a few things seem beyond dispute. One is that although separated by an interval of just over seven years and executed very differently, both were consistent with al Qaeda’s long term goals and will probably be seen by future historians as more important for their economic consequences than their body counts. In that connection, an item published in the New York Times on Thanksgiving day during the siege called attention to signs that the troubled US economy may be not be just headed for recession, but into a much more serious deflationary depression, a phenomenon not experienced since the Thirties and thought by many economists to have been banished permanently. By the way, for just a hint of the disarray among economists, just google "inflation vs deflation". In a similar vein, two recent items looked at the consequences of Mumbai from quite different perspectives: one pointed out that although the Indian economy has been thriving recently, it is still fragile and beset with its own chronic problems. Another focused on cricket, an international sport of little interest to Americans (or Canadians) but cherished in other former colonies including Pakistan and India (both armed with nuclear weapons and already divided by long-standing tensions). Details now emerging from India confirm that the terrorists were heavily armed, well informed, and had targeted westerners, especially Jews, remorselessly and efficiently . Among the more striking details are that Indian commandos being debriefed today found it prudent to cover their faces, a sign they think the risk of more such operations is real (and al Qaeda’ s strategy is working very well). Oh, yes; as this was being composed, our prez, just back from his Thanksgiving at Camp David, emerged briefly from his helicopter to deliver his “sincere condolences” to the people of India. A comment made by one of the first CNN pundits to weigh in on the terrorist attacks in Mumbai was, “this is India’s 9/11.” A very accurate insight, yet one that, 36 hours later, is difficult to glean from the media reports and analyses being aired on TV and the internet. One major difference is the speed with which they were carried out: on 9/11, both WTC towers were struck by hijacked airliners and collapsed within a few hours, while the Mumbai attacks are still in progress some 50 hours after they began. The implications of that difference may turn out to be profound. Two equally obvious similarities are that both operations were carefully planned and carried out by people unconcerned with their own survival. A third is their connection with Islamic fundamentalism, clear cut in the case of 9/11, but still shadowy with respect to Mumbai. Yet their focus on Westerners, especially Jews (in Mumbai), suggests a connection with al Qaeda, which has yet to take any notice, let alone claim responsibility. Another similarity is the attackers' willingness to kill indiscriminately despite their focus on westerners. Perhaps the most important comparison will be those made in the future. The shocking 9/11 attack on America’s iconic financial center quickly produced a “war on terror” that ultimately led to a controversial and financially ruinous invasion of Iraq some fifteen months later. Although we have yet learn what responses the Mumbai events will eventually generate, they will be important because both India and Pakistan have nuclear weapons and have been at loggerheads over a variety of divisive emotional issues since the end of British rule in 1947, how they will respond to an event that can so easily reopen old wounds is of obvious importance. Hopefully, both nations will deal with it as 9/11 should have been: as a crime to be carefully investigated and an opportunity to learn about a new threat to human survival; not as an exercise in irrational anger and an excuse to rush into war. Anyone curious about how this essay relates to my study of cannabis is invited to compare typical emotional responses to cannabis on the one hand, and to alcohol on the other. In 2006, on the Wednesday before Thanksgiving, a federal jury in Fresno, California took just two hours to find Dustin Costa guilty of growing cannabis for medical purposes, an activity supposedly protected by a state initiative passed ten years previously. That travesty had been enabled by an unprecedented state-to-federal transfer of jurisdiction over a year earlier, a move never seriously discussed by either side or by the press. Its bland acceptance, the gross injustice of the pre-trial rulings, the trial itself, and the maximum sentence handed down by a cowardly judge; when combined with the abysmal civil rights record of the Bush Administration, and my own experience in studying pot applicants, have combined to convince me that we Americans have been as hypocritical and cowardly as the Soviet Union under Stalin. In that context, we can see Osama bin Laden’s creation of al Qaeda as one of the most significant events in history: his deep seated religious convictions (which he’s never bothered to conceal) have allowed him to create an efficient, yet decentralized network united primarily by shared resentments against the West. Nor has he ever bothered to hide its historical roots in the Crusades. We also know he was inspired by the effectiveness of Hezbollah’s attack on the US Marine barracks in Lebanon and by the near miss of the ‘93 truck bombing of the WTC; also that prior to 9/11, he tested his new organization’s ability to launch coordinated attacks; first in Saudi Arabia, and later, against American embassies in Africa, and since 9/11, al Qaeda has been o responsible for several loosely coordinated bombings around the world. During that interval, not only has bin Laden not been captured, we have never come close to him, even though he’s almost certainly not left the Pakistan-Afghanistan border area since he slipped away form Tora Bora in December 2001. In the meantime, America has bankrupted itself in a futile war in Iraq and the world economy is now in danger of collapse. Ironically, the final revelation of Bush’s (and the West’s) folly was delayed until he was a lame duck on the verge of waddling out the door. If the euphoria following Barack Obama’s unprecedented election seems to be fading a bit, one reason may be that power won’t actually be transferred from the feckless incumbent for another two months. Another is that we’re in the midst of an economic crisis that continues to dominate the news, even as it demands urgent, far-reaching decisions, for example: should we attempt to rescue the American Automobile Industry? Drug policy reform is seldom discussed because it’s a subject regarded by most as barely respectable; yet a number of us have been waiting patiently since 1992 for even the possibility of “change (we) can believe in.” Sadly, neither the early appointments nor the short list of those being considered for key drug policy posts in the Obama Administration have been encouraging. While Eric Holder would clearly be an improvement over either Ashcroft or Gonzales in most respects, his stated opinions on drug use and the prosecution of “drug crime” have been neither enlightened nor hopeful. The most visible drug policy icon in any administration has become the drug czar, a position that grew out of the unlikely selection of psychiatrist Jerome Jaffe as Richard Nixon’s “drug adviser” after surreptitious testing revealed opiates in the urine of an alarming percentage of GIs returning from Viet Nam. Fears of mass urban addiction turned out to be overblown, but Jaffe's appointment did result in federal adoption of methadone maintenance, ironically the very notion a benighted Supreme Court had condemned when it upheld the Harrison Act a half-century before. But I digress; the job of Presidential Drug Adviser quickly devolved into drug war shill over the course ensuing administrations until it was suddenly elevated to cabinet level under George H.W. Bush. Bill Bennett, the first such “czar,” only served 18 months, but remains a compelling example of his own serial compulsions: first for cigarettes, then food, and later high stakes gambling, while relentlessly preaching morality to any who will listen. Dubya’s “czar,” the colorless John Walters (a Bennett acolyte), will have to be replaced as a matter of course; the person rumored to have the inside track is a little-known Republican Congressman from the Midwest. That he is better known for his AA “sobriety” than as a drug hawk, and was also a leading edge baby boomer tells me a lot: first, he almost certainly was never a pot user and probably never even tried it. Second, he is not among Obama’s intimate circle, and is not likely to have much clout, which also suggests that the status of the position has already been further diminished. Finally, because I definitely see the American Presidency as having become progressively more imperial since Lincoln saved the Union, it has become more important than ever that we have an intelligent educable incumbent (the very opposite of Reagan), one that can serve eight years (as Carter couldn’t). Clinton was close, but was undone by the same personal weaknesses that eventually allowed Dubya to sneak in and hang around for two disastrous anxiety-producing terms. This morning, while watching a high def TV documentary on the Amazon Basin, my curiosity was aroused when the narrator used the term “ethnobotany” in listing reasons for preserving things we don’t understand; for at least a long enough to find out if they have some value. What I discovered, with considerable help from Google, is that although the contributions of plants to human welfare were already being studied in “ancient” Greece, the practice wasn’t called Ethnobotany until 1895. Even then (I was also surprised to discover) one of the more famous such examples, based on the observation by British physician William Withering that a tea made by a Shropshire woman from the poisonous foxglove plant could relieve dropsy (edema), wasn’t even mentioned. I also learned that Withering was a clinician who had been encouraged to publish by another, even better known enlightenment luminary. More googling, after adding “controversy” to the search, brought my flash of insight full circle: not only had the development of digitalis as medicine been launched by alert clinical observation and further experimentation, much like that done by William O’Shaughnessy with hemp, it had ultimately generated considerable controversy which is still unresolved. The biggest difference between hemp and foxglove seems to be that the latter doesn’t alter mood, and even though its toxicity has always been known to pose a risk (indeed, many have died from using it over the years) it was never made illegal nor have either its use nor prescription ever been cause for arrest. When googled, “crony capitalism” generated a modest number of hits, including a Wikipedia entry that doesn’t seem to have yet been tampered with yet by right wing watchdogs. A spot-on New York Times item from the days leading up to our tragic misadventure in Iraq led me to the realization that plain old “cronyism” may be the best generic term for describing the behavior that has plagued our species since we became smart and verbal enough to rely on our superior brain power as our preferred survival tool. I’m now more convinced than ever that the rich connections between our amygdalas (amygdalae?) and cortical cognitive centers have been a mixed blessing; while they have allowed us to create art by intellectualizing our emotions, they have also lured us into conflicting religious beliefs we defend to the death by such devious means that we’ve been fighting wars throughout our recorded history, and probably long before ever learning to write. “Dying to Get High,” by academics from opposite coasts: Maine Sociologist Wendy Chapkis and California Communications Professor Richard Webb, is an exceptionally interesting and informative hybrid that combines a well-documented look at the academic and legal underpinnings of American drug policy with the arresting human interest story of how patients suffering from a variety of debilitating, often fatal, conditions were arbitrarily punished for their use of “medical marijuana” by the same federal bureaucracy that has been both prosecuting the drug war and shamelessly lobbying on behalf of its necessity as policy. At this point it’s necessary to acknowledge the intensely political nature of medical marijuana, the subject Chapkis and Webb have chosen to deal with in a well researched and commendably even handed manner. Their introduction explains how they came to collaborate on the project despite quite different backgrounds; both also admit to prior acquaintance with various WAMM members, and that they also harbored biases against official policy without necessarily agreeing on all issues. It's precisely because of such full disclosure, extensive documentation, scrupulously even-handed style and the DEA’s own treatment of WAMM patients that all but the most partisan readers should be convinced that not only is cannabis (“marijuana”) medicine, but our government’s continuing insistence on its prohibition, mindless even when first enacted in 1937, has done enormous damage since it was intensified in 1970, and is now nothing less than an embarrassment. WAMM (Wo/Men’s Alliance for Medical Marijuana) is a Santa Cruz, California cooperative with roots traceable to a 1973 injury sustained by one of its founders, Valerie Leveroni, then a young college student, who was nearly killed when a light plane buzzed her car and caused it to roll over. The accident produced a severe head injury that left her with crippling headaches and a seizure disorder resistant to conventional treatment. The following year, after her fiance, Michael Corral, read about marijuana’s success in controlling seizures in patients with epilepsy, they decided to try it. Over the ensuing months, Valerie was restored to a level of physical and intellectual function she hadn’t thought possible. Fast forward to 1992; the Corrals, then long married and living a quiet life in Davenport, just north of Santa Cruz. had a garden in which they grew flowers, vegetables, and Valerie’s medicine. Local police had chosen to ignore their few pot plants until they were spotted in a helicopter fly-over by an outside police agency and the local prosecutor elected to file charges. The Corrals were offered a plea bargain in which charges would be dropped in return for a promise not to use pot, but that was a condition Valerie felt she couldn’t accept. It was also a time of increasing pressure on the DEA and its parent Justice Department to reschedule marijuana as a “schedule two” agent, but they had adamantly refused, even to the point of overruling their own administrative law judge and dismantling a “medical necessity” program started under President Carter and continued for a while under George H. W. Bush. Over a protracted interval, the ongoing stalemate between federal agencies and patients caused tensions to escalate gradually and finally generated Proposition 215, California’s ballot initiative. Because the members of WAMM were among the sickest medical users, they were (mistakenly, as it turned out) assumed by most to be the only acceptable model for “valid” use, even as the feds were insisting there is no such thing. In fact, as a careful reading of the references assembled for this study makes quite clear, the behavior of our federal bureaucracy has been breath-takingly dishonest and punitive in every situation in which the issue of medical use has ever come up. Although medical marijuana laws have been passed by several other states since 1996, none have attracted the attention of California’s nor generated so much intrusion from the federal bureaucracy. While “Dying to Get High” doesn’t explicitly call attention to that differential federal interest, it leaves little doubt that it exists and raises its own implicit questions about policy bias. After a jury refused to convict Valerie Corral following her 1992 arrest, she and Michael became increasing visible as symbols and their lives have been irrevocably changed by their courageous advocacy. What I have learned from working on a similarly opportunistic, but differently framed, study of pot use in a very different setting than WAMM, has been that the “traditional” arguments that have raged between medical marijuana advocates and the DEA have been false. Ironically, that’s because of false assumptions made by both sides about “recreational” use. Equally ironically, the “high’ referred to in Chapkis and Webb's title isn’t intoxication; it’s a brief, precisely controlled anxiolytic state produced by pot when it’s inhaled one that's therapeutically very useful for those suffering from the increasingly common symptoms of anxiety now besetting our species. In fact, it was the appeal of inhaled pot for the first baby boomers that triggered its sudden popularity with them while inducing Richard Nixon to declare “war” on drugs. The pot market has been unstoppable over the ensuing forty years since Nixon closed the Mexican Border for Operation intercept in 1969, but futile federal attempts to suppress it have done enormous damage to the lives of over twenty million (mostly young) people arrested in support of those attempts. Parenthetically, the financial debacle the world is now struggling with presents all humans with a similar dilemma: how do we create and maintain an acceptably honest regulatory effort with enough transparency to hold (the inevitable) cheating to an acceptable level? Although Proposition 215 passed comfortably in 1996 and its basic premise— that marijuana has medical value— is now supported in polls by eighty percent of Americans, the law is still stubbornly resisted within California by state and federal police agencies that are colluding to harass, arrest, and prosecute credentialed patients to the extent they can get away with. They are being aided and abetted in those tactics by a prevailing media bias that considers most cannabis use, especially by youth, as “recreational” and thus fair game for law enforcement. Nevertheless, as the state’s medical gray market has gradually become more robust and more visible, the California experience is posing a threat to a policy once considered invulnerable. Chapkis and Webb have focused on local terrain they were both personally familiar with; in so doing, they have produced an accurate and detailed history of the pertinent policy issues. Ideal timing gives their readable account of the WAMM fiasco a real chance to make a difference in our (changed) Presidential climate. I’m now watching and listening to our prez in real time as he puts his spin on the economic disaster he has played such a key role in creating. As one would expect, although he has been forced by current realities to cite many of the undeniable problems the world is now facing, he is straying quite far from the truth, particularly when tracing their root cause and attempting to reassure his audience that things are on the mend and can be brought under control. For one thing, he has not acknowledged the role played by the institutionalized dishonesty of his own administration in deregulating our financial services industry while plunging the world into an avoidable and unnecessary war in Iraq in the wake of the 9/11 disaster. Indeed, I am not unaware of credible “conspiracy” charges that his own family, which has an undeniable record of profiting from fascism in the Twenties and played a key role in Saddam Hussein’s retention of power in Iraq, may have been at least partially responsible for 9/11. From my point of view, the biggest lies now being told by this most toxic of all American Presidents are rooted in the ignorance of of the drug war that he and his equally dishonest father made a prime element in their domestic policies. His eloquent arguments in favor of “free trade” make no reference to the ruthless economic exploitation of poor populations that has been taking place under the banner of globalization. The little liar just finished; now I’m going to take a walk before listening to the pundits as they parse what he said and what he left out. In future entries I will spell out how the details learned from profiling illegal drug users have led me to conclude that all humans are potentially so dishonest that heightened competition, by and between our organizations, with a big assist from Science and Religion; has been the root cause of our current debacle. Yesterday (November 12, 2008) was a most improbable day; perhaps the least probable in human history, at least until today (November 13), which promises to be even more so. The reason for that (gloomy) opinion is that although the economy of our overpopulated planet has clearly been in a state of impending collapse for several months, the denial still exhibited by the the world’s financial leaders is preventing them from facing the stark reality that it has sustained the financial equivalent of a fatal cardiac arrest and is now well beyond resuscitation. In that connection, I see Treasury Secretary Paulson’s announcement as decisive; when he sold the bailout to Congress, he was part of scenario that still offered a shred of hope, albeit flawed, that a degree of recovery under President-elect Obama was at least possible. Yesterday’s switcheroo was compelling evidence that hope is forlorn; beyond that, the lack of recognition with which it has been greeted only confirms that our economic experts are incompetent. Yesterday, the euphoria generated by a young new President’s calm assurances that his administration will will soon reveal coherent plans for dealing with the problems that will inevitably be left behind by his predecessor was already being dampened a bit by the realization that the recalcitrant Bush Administration will remain in charge until January 20, and several timely decisions may have to be made before then to prevent further damage to a badly wounded American (and global) economy. Adding to the woes of the housing debacle were revelations that not only had deregulated banks and other institutions been creating highly questionable “derivatives” from the sub-prime mortgages that had been aggressively marketed to buyers with questionable credit, those exotic debt instruments had been insured by an insurance industry that is also in trouble because they had underestimated the magnitude of those commitments. Although a recent rapid reduction in interest rates by the fed had created liquidity, that money was still (hopefully) within the system because borrowers are afraid to borrow and lenders afraid to lend. In the meantime, life marches on, as I was poignantly reminded when yesterday’s newspaper turned out to be heavier than usual; it was from the ads that traditionally herald Black Friday. Another omen, heard on NPR, was a report on the sudden increase in elderly retirees being stressed by collapse of the market for the houses they had planned to sell to finance entry into (recently constructed) retirement communities, themselves suddenly in trouble because sales are off so sharply... and so forth. Against that backdrop, the threatened simultaneous bankruptcy of the Big Three American auto makers early next year takes on a new urgency; and the Bush Administration may have to be involved in any emergency bailout. Finally, Sixty minutes had a segment on the cozy relationship between cheating American recyclers claiming to be “green,” while illegally dumping e-waste to be recycled by desperate workers in the thriving, but increasingly toxic, industrial zones China has been creating to catch up with the American consumer lifestyle. All of which would seem to guarantee continued success for another illegal market: the one for inhaled cannabis, America’s safest, most effective, and least acknowledged anxiolytic. Both the behavior and rhetoric of Republicans throughout the recent campaign made it painfully clear that it would take the unprecedented election of a (nominally) black American President to provide even a shred of hope for meaningful improvement in the desperate situation eight years of Bush sponsored incompetence and greed helped create. 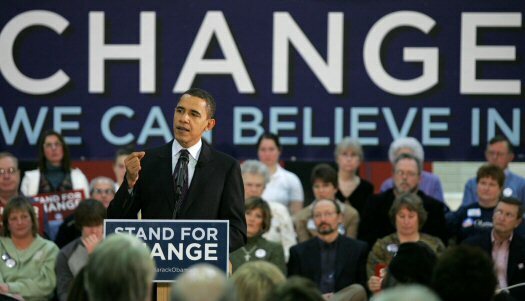 As the marathon campaign progressed and the Bush Administration’s record was overtaken by a tidal wave of shocking economic news, there was such a good fit with the Obama campaign’s demand for change that the bad economy became a key element in his victory. Although optimism that new ideas will make a difference is implicit in any such huge political turnaround, current reality suggests that deep pessimism over both the immediate and intermediate future might be more appropriate. That’s because the complex global economy we humans have developed, particularly over the last few hundred years of rapid scientific “progress,” is now so badly compromised by multiple false assumptions about “human nature” that it could fail catastrophically in the near future, a development that would, by itself, create enormous hardship and pose a serious threat to our long term survival. An informed look at our species’ most recent experience with global economic catastrophe reveals that complete recovery from the Great Depression required World War Two, which event was itself quickly followed by two new models for international conflict; first a Cold War lasting over four decades and raising questions about Nuclear Winter, then our current War on Terror. Both have been distractions from equally dire (and closely related) threats: overpopulation and accelerated climate change, plus looming ball rolling game iphonepetroleum and water shortages. The current lack of consensus on climate change and sustainability of petroleum and water supplies, along with the incompatible economic views championed by diverse vested interests, do not auger well for the concerted responses required by even moderately pessimistic recovery scenarios. The question then arises: how can we expect a relatively narrow election victory of the more reasonable candidate in the nation with the most profligate economy in the world to save us? That question is especially pertinent in light of the mess now roiling our largest state over its just-enacted ban on gay marriage and stubborn government resistance to reasonable implementation of a twelve year old medical marijuana initiative. The answer is that we we have to try; but getting past our customary denial first would help. On the drug policy front, Obama’s decisive victory finally signals that America’s drug war, like the Berlin Wall, will eventually cease to exist. Moreover, “medical marijuana” is most likely the strategic initiative that will bring its disappearnce about; thus confirming the fondest hopes of America's drug policy opponents and worst fears of its supporters. Although not a slam dunk, there are hopeful signs: of the two presidential candidates, Obama acknowledged his own initiation and use of illegal drugs more honestly than Clinton, Gore, or Bush. He was also the most outspoken ever in his support for medical marijuana Although the pre-Baby Boom McCain didn’t have to lie like Bubba or Dubya, neither did he hide his contempt for pot smokers. For those and several other reasons, I believe a concerted effort to focus the Obama Administration on various specifics of the California experience with Proposition 215 is virtually without risk and might pay dividends more quickly than many could now imagine.